If you’re not a fan of bright colors but still want to brighten up your interior design, metallic hues will do the trick. If you’re most comfortable in the "earth tone zone" when it comes to your home décor, you’re not alone. Some homeowners who prefer earth tones don’t mind small pops of color here and there, but overall, many of them prefer to keep things in a neutral color wheel. If you fall into that category, you may find yourself wanting to brighten up your home, but aren’t sure what to do because colors like yellow and turquoise aren’t really “you.” Trust me. I get it. It takes a lot of moxie to put large orange throw pillows on your couch, and the thought of it makes you sweat. Have no fear. There’s another way to bring life to your matte neutrals, and that’s by implementing metallic home décor. 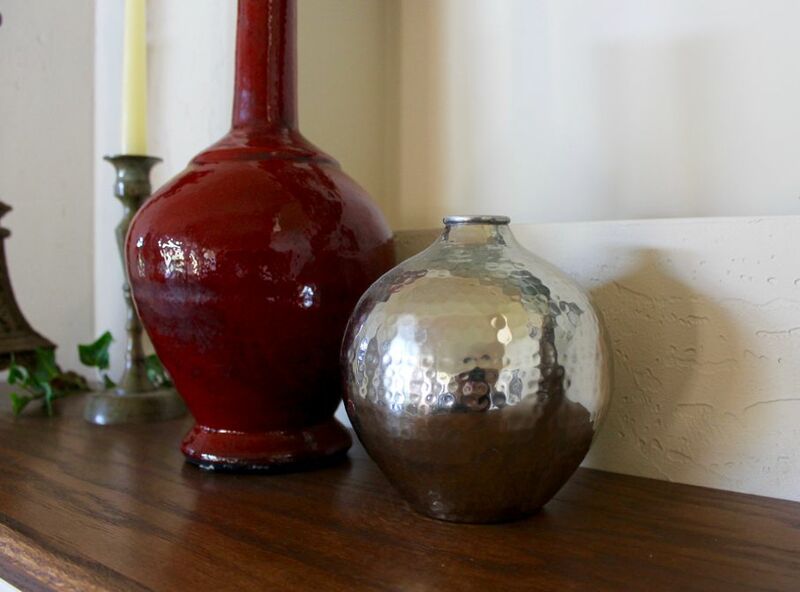 Here are five examples of how metallic home décor items can make your room shine while still maintaining your earth tone color palette. 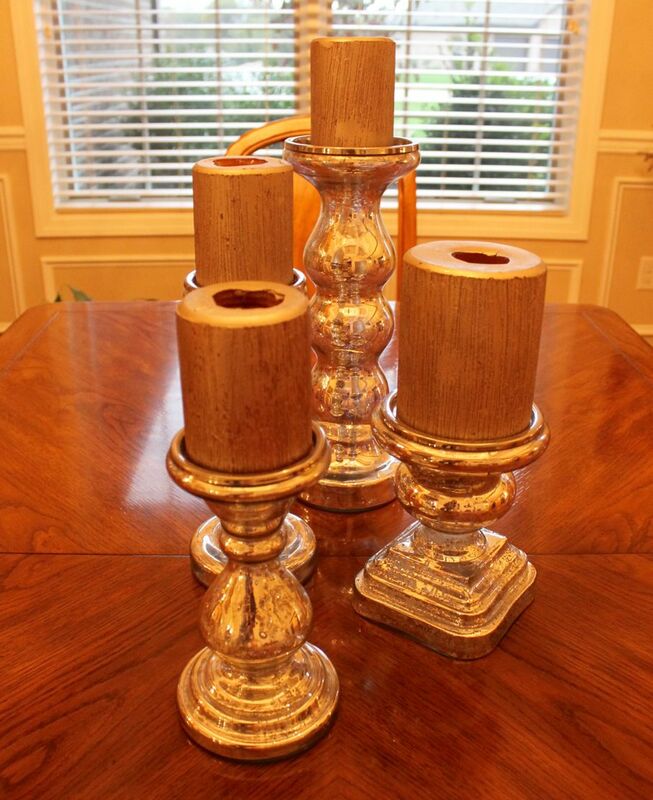 If you’re looking for a centerpiece for your dining room table, but the thought of flowers induces a “been there, done that” kind of feeling, then candles are a great home décor alternative. These candle holders have a slight gold sheen to them, which brings out the smattering of gold flecks on the silver candle holders. This look brings a bright, reflective glow to an otherwise boring wooden table, and showcases a hint of glitz and glamour without being gaudy. Metallic décor isn’t just limited to gold and silver, as bronze is also a contender with its beautiful copper tones. A decorative plate on a mantel, fireplace hearth, or end table can add a subtle touch of shine to a lackluster space. 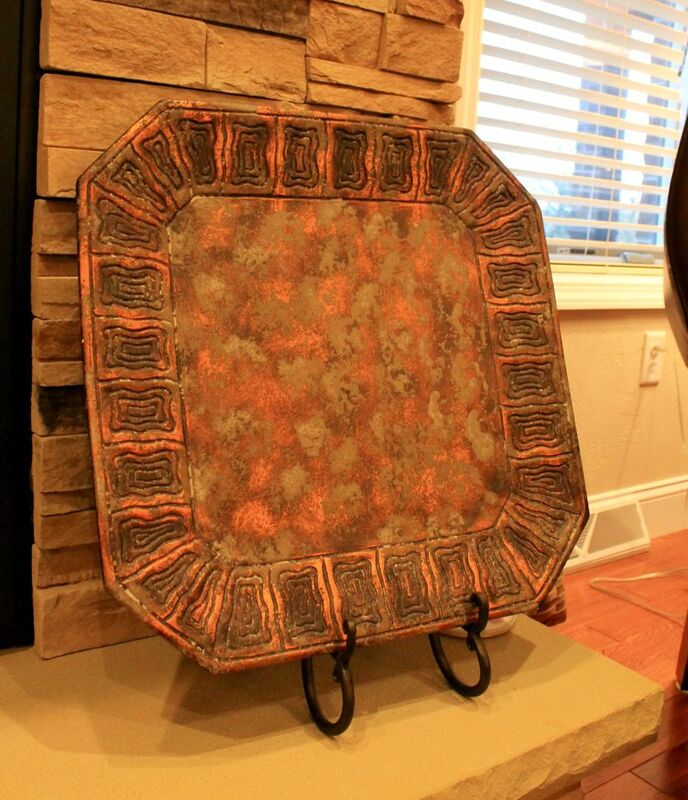 Choosing a plate with an engraved design and subtle splashes of muted color will enhance and complement the other earth tone furnishings in your room (area rugs, throw pillows, and so on) without creating a competition. While typical brown and black wooden picture frames are a classic look, sometimes a metallic finish can really bring a room to life in a way that the others don’t. 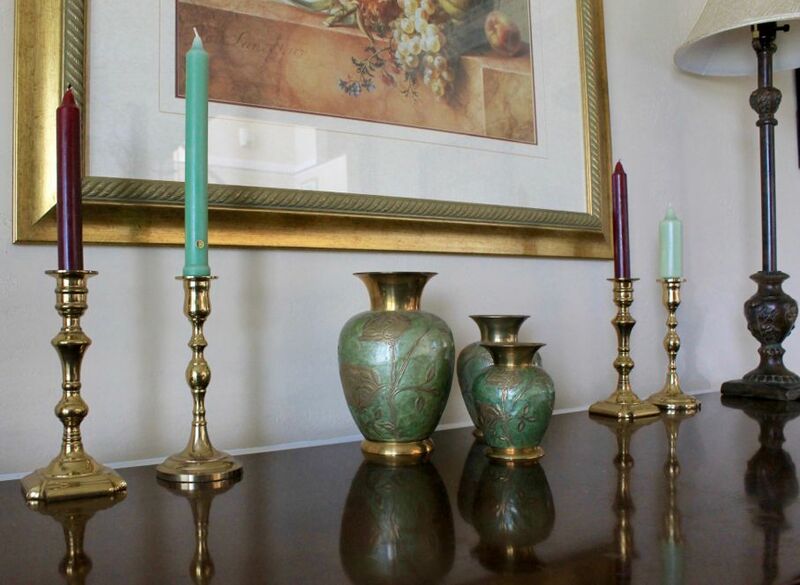 This gold frame not only beautifully complements the colors in the painting but also helps to tie in the gold theme on the buffet table, as the vases and candle holders have a warm, reflective hue as well. It’s a striking contrast against the beige wall, as the metallic frame really allows the décor to stand out against a plain backdrop. Now that we’ve covered silver, gold, and bronze, there’s another type of metallic tone that provides just as much pizzazz as the hues above: reflective stainless steel. 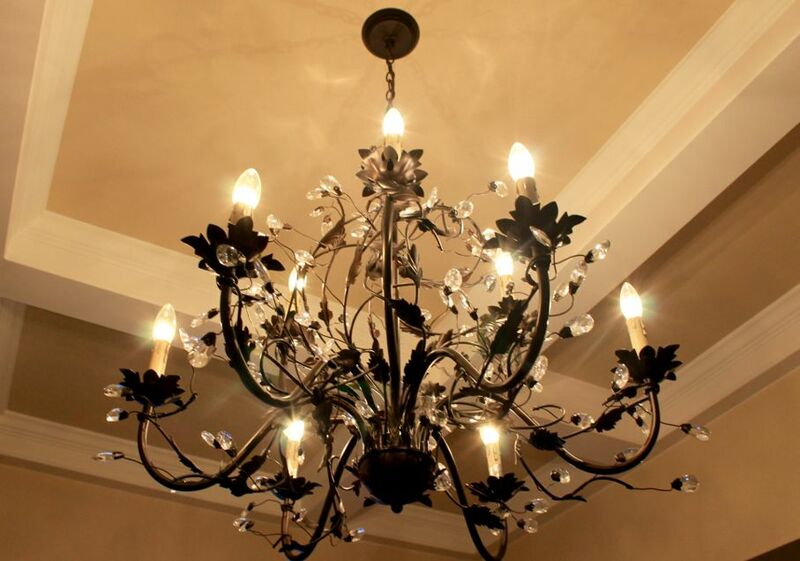 A steel-type look doesn’t have to be limited to kitchen appliances, as it can be crafted into beautiful works of art, such as this ornate chandelier. This chandelier is a statement piece in and of itself with metal leaves, vines, and flowers, as well as crystals to help bring an even more reflective, luminous appearance to the lighting fixture. It also provides a stunning contrast to clean, straight lines in the unique crown molding above it. Modern art can play a role in a classic design style just as much as it does a contemporary one. The gold piece in the left of the photo almost resembles a large chess piece, and plays a perfect supporting role in highlighting the gold metallic frame (and the bronze wrought iron accent inside of it), while putting a modern twist on a fairly traditional mantle design. It’s a unique touch when it’s mixed in with conventional decorative items. 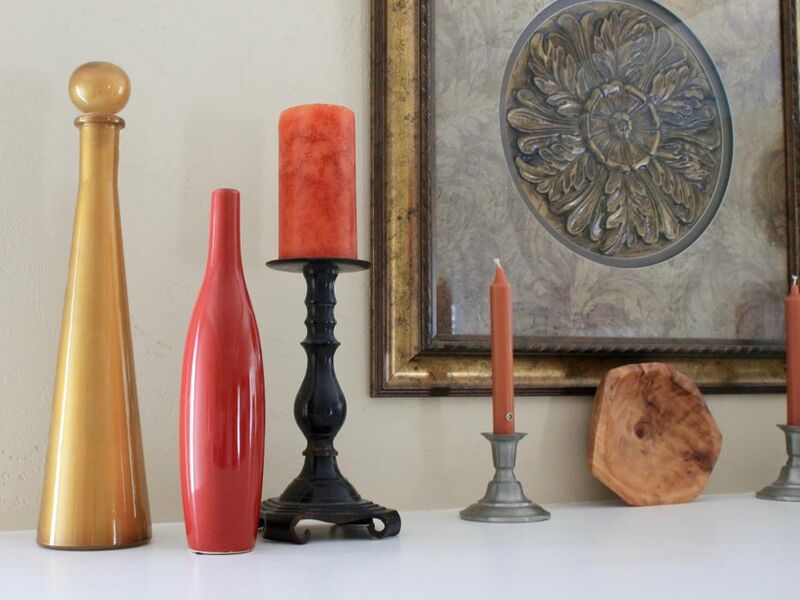 If you think you’re ready to add some brighter bursts of color, such as red and orange, candles are the perfect way to mix bold hues with metallic home décor. These candle colors are warm and earthy and add an excellent level of visual interest without going over the top (baby steps)! What’s your favorite type of metallic home décor? Is there anything that you’d add to the list? Please let me know your thoughts in the comments below!